MoMo without the Mojo was back again this week. 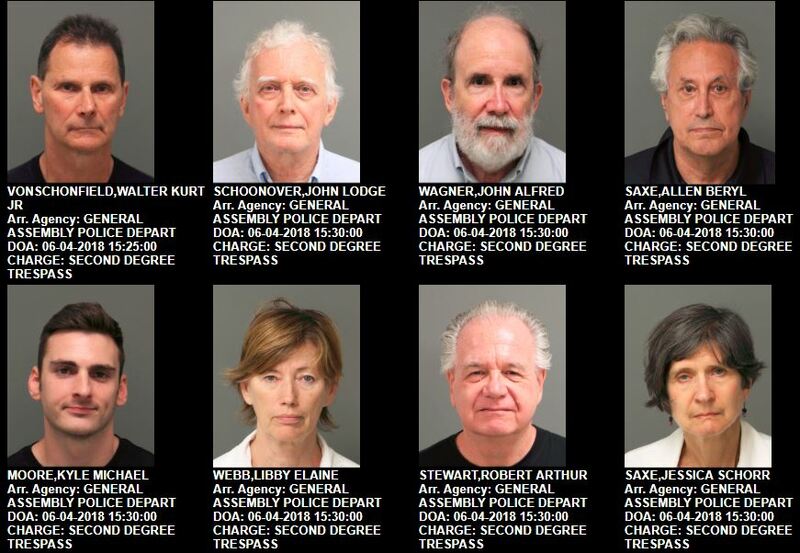 Per usual, I have the mugshots. Bully Barber started up his own version of Martin Luther King Jr.’s “Poor People’s Campaign’ last year. It’s just Moral Monday, renamed. And now that we’re caught up, here are the new ones. This last batch on June 4th brings the total to 51 citations and 38 arrests. This entry was posted in BlueprintNC, LL1885, Moral Monday, POLITICS NC, Useful Idiot and tagged MoMo, Poor People's Campaign. Bookmark the permalink. How many are from out of state?